Eliminate traditional printer frustrations and free up your business with the latest WorkForce Pro RIPS business printers. The advanced Replaceable Ink Pack System (RIPS) technology uses super-high-yield ink supply units for printing up to 84,000 pages between ink changes4. 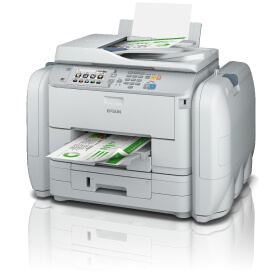 This eliminates most of the physical waste involved in printing when compared to comparable colour laser printers. But that’s just the start. 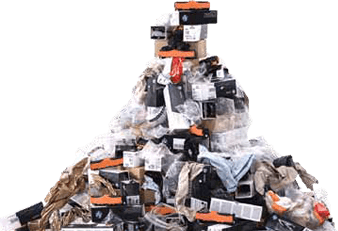 It also significantly reduces time and hassle, helps you to meet your environmental goals and improves productivity by providing the benefits of a distributed printer fleet. Reduce downtime spent managing and disposing of supplies, walking to central printers, waiting around for prints, locating lost or stolen documents. Reduce the IT support burden caused by fixing user errors, such as incorrectly installed supplies. Lower the cost of all that wasted time and energy, put IT resources to better use and streamline your supplies management with Epson RIPS technology. Achieve predictable print costs while reaping the productivity benefits of the distributed print model. Your details have been passed on to an Epson account manager and you will receive your WorkForce Pro RIPS print samples soon. Request your free print samples below to experience the quality and reliability of a WorkForce Pro RIPS printer. I would like to receive news and product updates from Epson. Available exclusively as part of a Managed Print Service, WorkForce Pro RIPS printers can help to create a distributed printer fleet that both handles the demands of busy workgroups and delivers predictable print costs. Epson’s new WorkForce Pro Replaceable Ink Pack System (RIPS) virtually eliminates the traditional frustrations of business printing, such as wasted time, needless expense, lost productivity and needless environmental impact. Instead businesses can enjoy an accessible, reliable, secure, high quality distributed print resource that delivers what they need when they need it, and makes it much easier to achieve predictable print costs. Our latest, most advanced printhead is based on the technology found in Epson industrial and commercial products. As a result, PrecisionCore delivers dramatic increases in speed, quality, reliability and efficiency. Buyers Laboratory (BLI) is the imaging industry’s leading independent authority and provider of competitive intelligence, testing and reviews on multifunction (MFP), copier, printer, scanner and software solutions and products. For over 50 years, BLI has been the leading source for unbiased and reliable intelligence for the global digital imaging industry. With their phenomenally high yield of inks, the WorkForce Pro RIPS models impressed the testers with their compact and low-waste packaging advantages, plus their user-friendly design and space saving features1. The WorkForce Pro WF-R8590 was also awarded the coveted “Summer 2015 Pick Award” award for its flawless durability and highly impressive productive performance, coupled with best-in-class first copy times. Enhance productivity and keep costs low by integrating paperless documents into your business workflow. 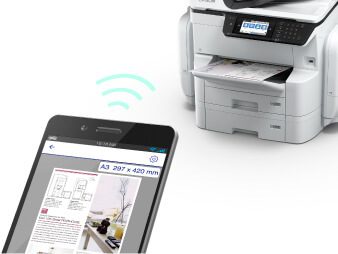 Epson’s Document Capture Pro software enables you to automate paper capture processes at a touch of a button. Easily manage an entire fleet of printers and scanners remotely, with full control including the ability to install, configure, monitor, maintain and troubleshoot your devices for increased productivity and cost savings. 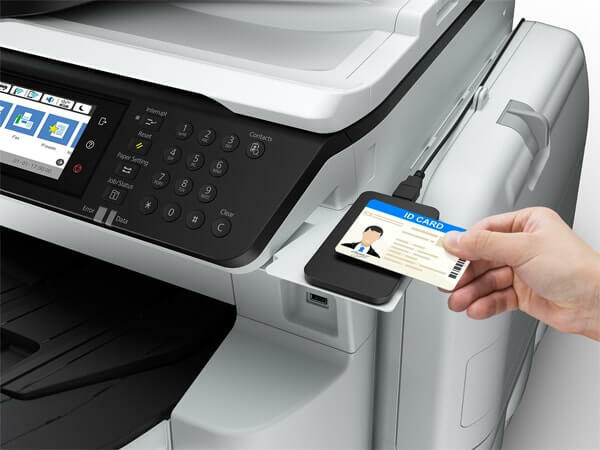 Smart device mobile printing and scanning with NFC. Research conducted by Coleman Parkes on behalf of Epson Europe, among 1,250 EU5 businesses of 50 – 500 and 500+ employees. Respondents were IT decision makers. 250 businesses took part per country (UK, France, Italy, Germany, Spain) operating within the Financial, Retail and general corporate markets. Research took place February, 2014. 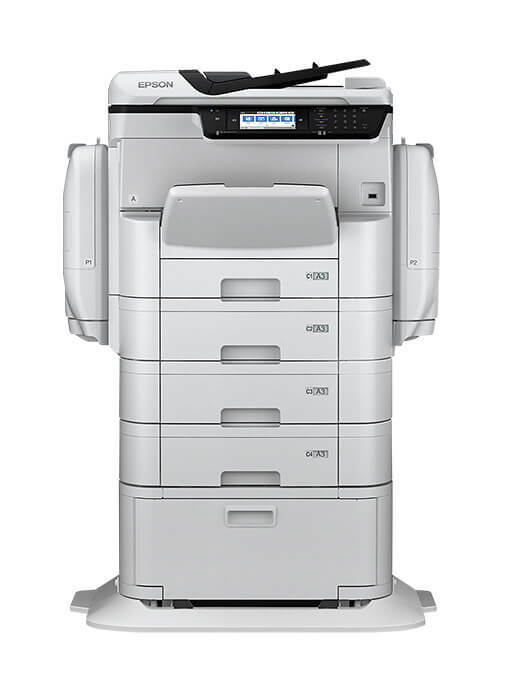 The maximum number of printed pages per month based on the performance capabilities of the printer, including ISO rated print speeds and paper handling capabilities. About BLI: Buyers Lab LLC (BLI), the imaging industry's leading independent authority and provider of competitive intelligence, testing and reviews, carried out the tests over 2 months to July 2015. For more information on the WorkForce Pro RIPS, simply fill in your details below and an Epson representative will be in touch. Tell us what is important to you?